Since 17 February 2011, TWS trade between RM7.50 to RM8.25 range & forming bolinger band squeeze. 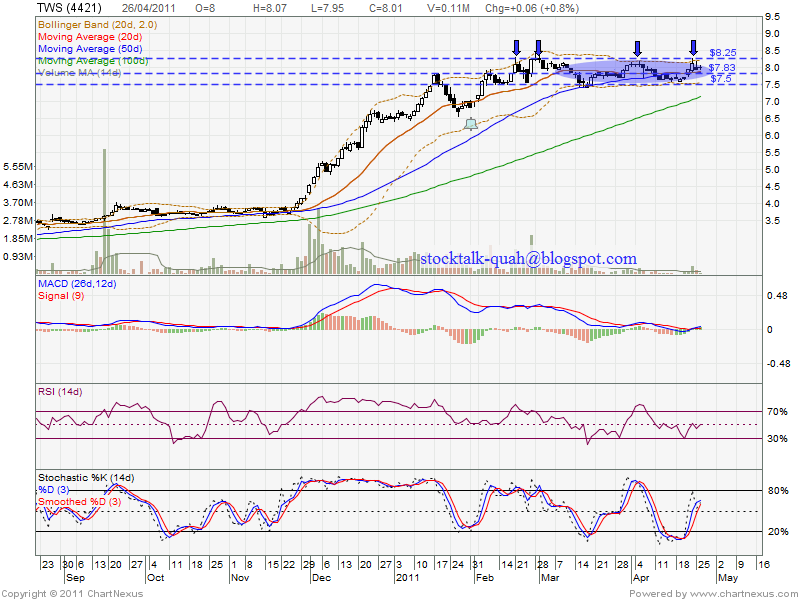 If able break up RM8.25 level with huge volume, it will be a good entry oppotunity. However, if retrace down, RM7.50 might be the support level. 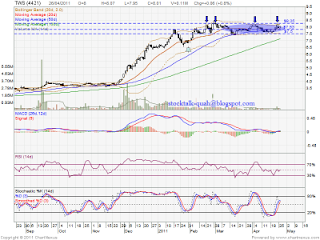 Next support would be RM7.15 which is MA100 support.